We came, we learned, we loved every minute of it. 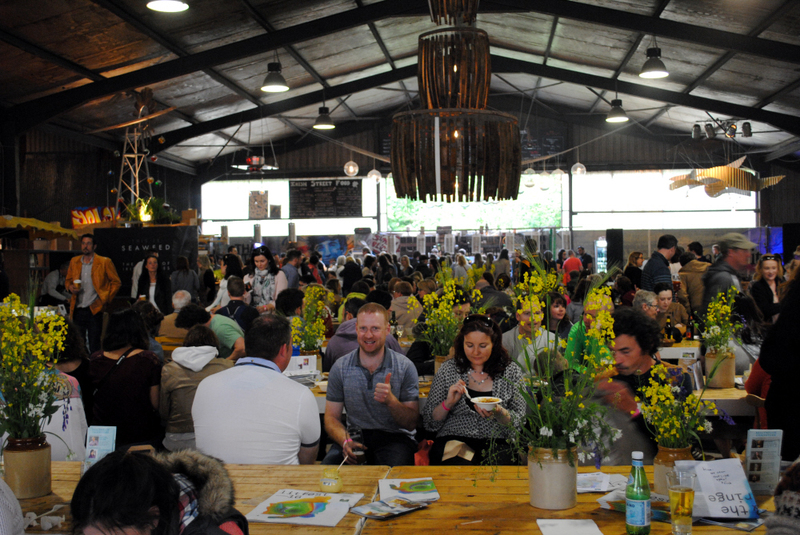 The Kerrygold Ballymaloe Litfest 2016 was an absolute corker, from Francis Mallman’s 4am fire vigal, the Claire Ptak-Jeremy Lee comedy duo /cookery demo, Irish cider wake-me ups in The Drinks Theatre and cross-cultural food experimentation from Ramael Scully and Yotam Ottolenghi of Nopi. The weekend was fueled by Badger and Dodo coffee, the occasional sea urchin, nourishing Ballymaloe House breakfasts and, to finish (me off), a mini Dublin Doughnut Company salted caramel doughnut on Sunday night at the closing event, inhaled while maneuvering my radio mic. A last minute sugar boost to see me home and started into editing. It was an East Cork gathering of chefs and writers, restaurateurs and fire starters with one thing in common: an obsession with food. I took a little sound taster, first talking to Eric Werner, who turned a dream into reality by opening Hartwood, a restaurant set on the edge of a jungle in Mexico. Also included in this whistle stop audio tour of the event are culinary experimenter Ramal Scully from Yotam Ottolenghi’s Nopi, firestarter Francis Mallmann, and Amalfi lemon-loving Jeremy Lee of Quo Vadis. A special thank you to the wonderful food writer Elizabeth Luard, who summed up the entire festival while talking to me about sacred food. 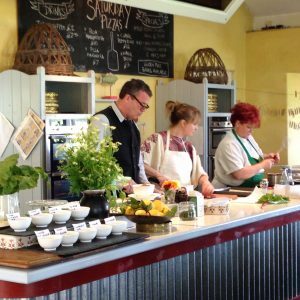 The next food tribe gathering at Ballymaloe will take place from 19 to 21 May 2017.